First of all, i would like to apologise for the lack of update on post #07. Trying to keep up with adoption news of 17 families while on holiday is not easy. But now i’m back to normal routine, the updates will happen as the families update me. This is post #08 in our series which helps to give exposure to families who are adopting children from Asia. Why am i doing this? Because God has placed them in my heart and since i am not in a position to adopt at the moment and i don’t have tons of money to give towards the very high costs of international adoptions, i do the next best thing; i tell as many as i can that these children need a family and they have a family working towards bringing them home but they need your support, prayers and help (emotionally, spiritually and financially). This is what this series of posts are about. The Gaines Family are home with Finnley. You can read about their journey here. They are also helping to advocate for a few children from Finnley’s orphanage. Visit their blog for more information. Jon&Angela are home with Jack and Jensen. You can read about their journey here. The Garrick Family has a travel date for court in Lana’s country, September 25th. Once they pass court, they will leave the country and then return in October to bring her home. This means two trips, which means added expenses. So please continue to help them financially where you can and pray for funds to come in. You can support them by shopping at Just Love Coffee Roasters, She Does Justice and buying a t-shirt from them. You can also help them meet a US$1500 matching grant from Brittany’s Hope, please remember to select Special Needs Adoption Grant and fill in Garrick under Grant Recipient Family. You can contribute directly to their adoption grant here. You can follow their journey here. UPDATE: 20 September – they are in country for court!! Then they will be back in October to bring her home. Please keep them in prayers. Also this means we are in a crunch to get those funds for the 2nd trip! Please HELP by giving generously. The Evans Family has LOA (Letter of Approval) to adopt both Hylah and Meilin. It is estimated that they have another 3 months of paperwork and waiting till they can travel and bring the girls home. Please do keep praying for a smooth process with no more delays. They are still fundraising: selling Wooden Name Puzzles, Handmade Bracelets and Bottlecap Necklaces. Please continue to help them fundraise. You can also contribute directly to their adoption grant here. You can follow their journey here. UPDATE: 28th August: Please pray for this dear family. They are facing paperwork issues yet again. Please pray that the issues will be resolved quickly and that they will be able to bring the girls home in time for the holidays. 20 September: They have LOA!! Which means now they wait for travel dates. Please pray that they will receive the dates soon. Do continue to support them as they race to raise the last bit of funding they need. The Fristoe Family is continuing work on their homestudy and waiting for You’s file to be released. They have a coup aide fundraiser where you can receive a US$50 Restaurant.com voucher for a US$20 donation. You can also contribution to their adoption grant here. You can follow their journey here. UPDATE: 20 September: they are considering bringing home an aging out girl. Please pray for them. The Murdoch Family is still waiting for a long over-dued LOA. Please please pray that they get the LOA asap. If there is any more delay, then some of their documents will expire and have to be re-done; which means more time, more expenses, more waiting. They have already had to re-do some documents. Please pray! Other than that, they are working on fundraising. They have an FB group, Crazy for Corina, where they sell lovely handmade items, just request to join and start buying. They also have a Build-A-Menu fundraiser going on. You can contribute directly to their adoption grant here. You can follow their journey here. The Pellegrino Family will be travelling in 8 days to bring Gabriel home! And God has answered theirs and our prayers for them. They have received a grant, which they thought they were not getting and an amazing donation. They have met their fundraising goal! Praise the Lord! BUT… they will still go on and finish their final fundraising project with Both Hands, where they will be helping a widow fix up her home and get donations for their work; which they hope will go towards their in-country expenses (not include in their fundraising goal). You can still contribute toward this worthy project (donation window closes September 7th), click here. You can follow their journey here. UPDATE: 28th August: They have completed their Both Hands project and done a lovely job of upgrading/improving a widow’s home. See the video of what they have done here. 20 September: They are HOME! The Dismuke Family have LID (Lock-In Date), which means their dossier is in country and the country has acknowledged it. Now they wait. They are still hoping to be approved for Johanna as well as another child. They have a Simply Registry where you can help them with specific expenses. They also have a Shop With A Cause tab on their blog; they have affiliate programs with The Sili Company, Mama’s Bug A Boo, Adoption Bug, Just Love Coffee Roasters, Amazon Link. You can shop and help at the same time. They have been listed as one of the families who will potentially receive some funds in this 50-50 fundraiser. Please give towards the family hosting this fundraiser and vote for the Dismuke Family to receive 50% of what is raised. You can contribute to their adoption grant here. You can follow the family’s journey here. The Lewis Family have local province approval and now wait on Travel Approval. As they wait, fundraising continues. They are still selling Indian Bracelets. You can contribute directly to their adoption grant here. You can follow their journey here. The Gariepy Family leaves on August 24th to bring Samuel home. Gotcha Day is August 30th. Praise the Lord! There are expenses still to be met. So please contribute to their adoption grant here. You can follow the family’s journey here. UPDATE: 28th August: Samuel is officially an orphan no more! Praise the Lord! Keep praying for the paperwork to get him home and for the trip home. 20 September: They are HOME! But are having some adjustments. Do keep them in prayers. The Wetherington Family is compiling their dossier and hopes to finish real soon. They are working out new fundraisers now. You can contribute directly to their adoption grant here. You can follow their journey here. The Phelps Family has LOA, so the next step is waiting for Travel Dates. Funds are still needed. You can help by buying a Wild Olive Tee (remember when placing order, please enter PHELPS1207 in the coupon area). Purchase therapy items through their Therapy Fun blog-link and a percentage goes to their adoption grant. You can also contribute to their adoption grant here. You can follow the family’s journey here. UPDATE: 26th August: They have received wonderful pictures of their sweetheart, Emma (Naya). See them here. They are still needing US$8000 to be fully funded. Please do consider giving towards their adoption grant. Thank you. The Gilbert Phillips Family has LOA, now they wait for TA (Travel Approval). 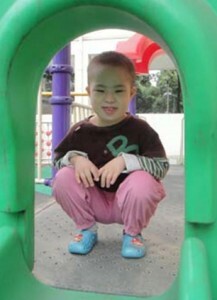 Do continue to pray for little Winnie to be prepared for this huge life change. You can contribute to their adoption grant here. You can follow their journey here. UPDATE: 28th August: They have been able to send Winnie a care package. Read about it here. 20 September: they heard that Winnie has received the care package they sent her. The Smith Family has completed their homestudy and is now compiling their dossier. They are working through the long process to bring Steve home. They are also busy fundraising. Their fundraisers: Amazon Link, Just Love Coffee, Adoption Bug, Young Living (use number 1450122) and Play World Toys. So many ways to help, just pick one! You can give to their adoption grant here. You can follow their journey here. UPDATE: 20 September: They are waiting for their I-800A approval. Do continue to support them and pray for them. The Huhn Family is waiting for I-800A, after which they can send their dossier to Josie’s country. Their fundraiser at SophiaRoseCraftShop is still ongoing. Buy some really cute handmade items and help them in their adoption journey. You can also contribute to their adoption grant here. You can follow their journey here. The Monier Family is working on their homestudy. They are also busy fundraising to meet upcoming expenses so they can bring Channah home without delay. Please do stop by their Esty shop and purchase some lovely necklaces. Channah’s Guardian Angel also has an Esty shop with lovely sandwich bags and business card holders, please put in a note at checkout that you would like 50% to go to Channah. They also have Thirty-One and Scentsy fundraisers. So have a look, buy and help them. You can also contribute directly to their adoption grant here. You can follow their journey here. UPDATE: 20 September: They celebrated Channah’s birthday for her from afar. Do support them as they continue to fundraise. They have been stocking up their Esty Shop so go there and check it out! The Steinhoff Family is just a few weeks away from travelling to bring Carrington and Peyton home. The Lord has miraculously provided the last bit of funding they needed. Praise the Lord! Please do pray for safe travels and a hassle-free process to completion. If you feel led to, you can still contribute to their adoption grant here. You can follow their journey here. UPDATE: 29 August: They have TA. They are leaving October 11th! 20 September: They have their Visas! They have received the final calculations for their stay in country and it’s a lot higher than expected. Please pray for them and please also give generously to help them meet this final bit of funding. The Campbell Family had just returned Christmas 2012 with their 3rd adopted daughter but felt that God was calling them again to return for another. They saw Darcy and knew she was their daughter. So they are going back again and re-using their dossier (this is allowed within one year). They are working on making some updates and will then send in their dossier. This is one of the first families i actively helped and i’m privilege to be able to help them again. Do pray for them as this is a great leap of faith, having just returned from one adoption to jump right into another. They are also asking for prayers for Darcy to be ready to accept them as her family. They have a few fundraisers happening: they are consultants for Usborne Books, Thirty-One and Omnitrition, so purchases from these websites would help them. They have also set up a Facebook page to sell various handmade items. Their older girls make some of these items, please have a look and make a purchase. They have a Just Love Coffee fundraiser and an American Girl Doll Giveaway. You can also use the Amazon Affiliate Link on their website (it’s the Amazon search box). Contribution can also be made to their Project Hopeful account. You can contribution directly to their adoption grant here. You can follow their journey here. UPDATE: 23 August: They also have a Trades Of Hope Fundraiser – it is a wonderful program which helps women in impoverished countries, as well as raising funds for the Campbell’s adoption. Do support such a worthy cause! 20 September: They have a T-Shirt Fundraiser. Do continue to support them. The Aschoff Family adopted their little girl from Latin America two years ago and now they are adopting Leo. They have just started the process and need prayers for a smooth, quick, hassle-free process and for funding to come in. Pray also that they will be at peace and not be afraid (they have lost a referral before). They are working on their homestudy at the moment and have a GoFundMe page set up. Please do help them raise the funds they need. You can also contribute to their adoption grant here. You can follow their journey here. UPDATE: 28th August: They have a t-shirt fundraiser happening. Check it out here. 20 September: Their dossier is complete. They are waiting on I-800A. They have also been given a matching grant to meet by the end of September! Please help. Details here! 2 families home, 2 new ones added, once again, 17 families needing your help, support, prayers and contributions. Please do show them some love, even sharing this post or any of their blogs would be a good thing. Thank you very much. You are such a strong advocate for these children and their adoptive families. It always warms my heart to read of your advocacy for them. Thanks my dear. i try my best & hope this little effort makes a tiny difference.